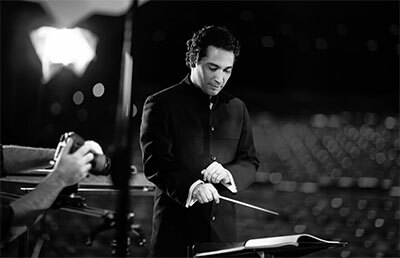 Houston Symphony Music Director Andrés Orozco-Estrada. 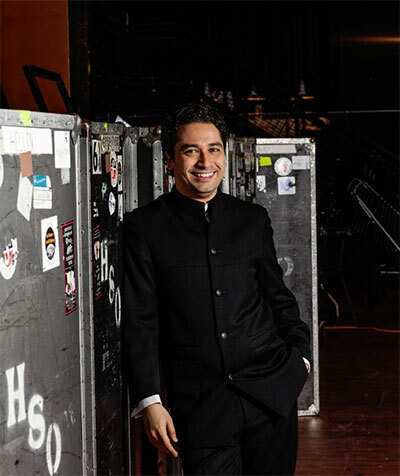 Houston Symphony’s new music director Andrés Orozco-Estrada has just concluded his first season with as music director for the orchestra. 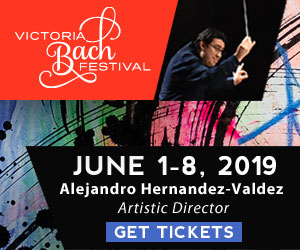 With the new season announced and a summer of activity planned, including Carmina Burana on July 18, now seemed like a perfect time to sit down with Maestro Orozco-Estrada. 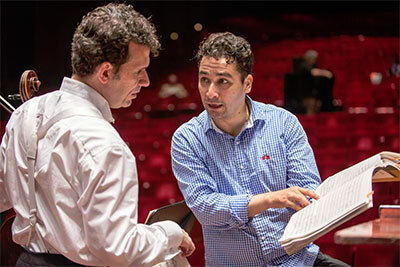 Chris Johnson visited with him to talk about his first year at the Houston Symphony helm. Maestro, how are you settling in to Texas? Have you found a home here yet? I’m feeling good! I’ve found a nice place here not far from downtown. Although I’m still working in Europe for much of the year, I definitely feel at home when I am in Houston working with the orchestra. I’ve heard nothing but excitement from the musicians I’ve talked with. It seems that it was love at first sight. How was it for you? I was looking forward to it, but I was also very curious to see how American orchestras really work and play, the type of sound they produce, how they rehearse. All these things are somehow different in Europe. My first impression was that the orchestra was very concentrated and disciplined. They really listened to what I said. In terms of the chemistry, I think we started to make music together very soon, putting in more of the imagination, or the fantasy. Those are the things that I can give to the orchestra that are perhaps newer, and more interesting—more of what is behind the notes. I remember one of the first remarks I made was when we were playing the Berlioz Symphonie Fantastique. As we all know, this piece has a very dramatic history. It’s like a telenovela. Of course, I come from Colombia originally, so I said let’s play this more like an opera, more dramatic. Let’s think about love. Let’s think about the guy who wants to get his first love and tries to seduce a lady. Let’s seduce the music! Talk about building a relationship with an orchestra. This is an interesting question, especially for me because I’ve been conducting orchestras for many years and in many different places, first in Colombia and then in Europe. So, one of the first things that I learned, which is perhaps the key to a relationship with an orchestra, is respect. This is a very large concept. There is respect towards the music, towards the score, but also respect towards the people and every musical idea that is shared in a rehearsal. Respect is not forcing yourself on the orchestra. How do you approach building a relationship with the audience? I try to create concerts that speak directly to the hearts of the people who are listening. This is the most important goal. At the same time, we are trying to create new opportunities to interact with the audience. One small thing we are doing is the “Musically Speaking” series. This is a perfect occasion to speak to the audience and to share with them. We get to explain not only the music, but also our interpretation of it. This is a chance for the audience to get to know me, the orchestra, and our ideas about interpretation. We also offer Q&A sessions after our regular concerts, and I sometimes like to speak to the audience at the beginning of a concert. Another new thing that we are doing is producing a video interview with me and the soloist for the evening, which is projected above stage during the time the stage is being reset. These things are small gestures, but we want to make more meaningful contact with the people who are attending our concerts. You really seem to enjoy talking to your audience. Is that something that is new to you? This is something that is new to me. Honestly, in Europe you are not even really allowed to do that! The people think they are very smart and they only want to go and hear the music. Here in Houston, I have a very strong feeling that the audience likes this very much. As you saw in the concert, I only like to talk for three or four minutes, but I think it was interesting enough and important for me to share these small thoughts about the program and about the piece we are about to hear. I think it’s crucial so that people can receive a new piece of music in a way that’s more meaningful. It also breaks the ice. I think people appreciate that I’m not afraid to embarrass myself, which I do. I’m happy that, so far, the audience responds to my comments—and even my jokes—by laughing. All of this points to the differences in the very nature of what it is to be a music director here in America versus in Europe. Here, you are the face of the orchestra in every way. I was struck by the video interview you mentioned in that it seems like that is another new skill that you are developing. That’s true, but it’s about using every tool and technique that we have today in our time. In classical music, sometimes, somehow we stay in the past. The music is already in the past. We appreciate that. It’s like going to a museum, but still we have to use what we have in the present to bring the concert experience alive. In other pursuits, this is normal, but in classical music it’s not such a normal part of the process. I mean, we’re talking about just a couple of cameras and an interview. And this is just the beginning! If I told you every idea I have for the future you wouldn’t believe it, but we have to start somewhere, and I am very happy and very proud that the Houston Symphony as an organization is willing to try and go with me on this journey and to experiment with these ideas I have. A recent concert paired Aaron Copland’s Clarinet Concerto and Charles Ives’ Symphony No. 1. The audience gave you a standing ovation after the Ives. There’s something about the level of trust between you and the audience, such that they are willing to let you take them places they normally wouldn’t go. Do you agree? Absolutely! I was not expecting that reaction either, but it’s just beautiful music! As we were saying before, a very crucial part of this trust and this relationship is that moment when I speak to the audience. Part of the coaching I got from my colleagues in the administration is that is doesn’t matter if it’s too short, but sharing with audience the reason why I believe a piece is worth being played is important. This also happened recently when we were playing a very new piece by Gabriela Lena Frank, and we took a few minutes to explain a little bit about the piece. Even these small gestures are very important when you play a new work. 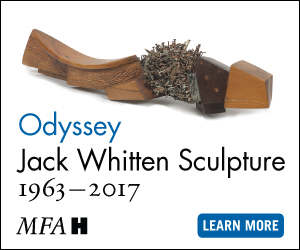 I mention just a few things about the piece and why it’s on this program with these other pieces. This is crucial. Otherwise, a listener could be very lost and thinking, “What is this music?” Still, they may be surprised, but it’s not an unpleasant or unexpected surprise because they have some context for listening. Gabriela Lena Frank, the Houston Symphony’s new composer in residence, has strong ties to Texas. Is nurturing regional talent important to you? Of course! You know, when I began to think about planning a season here in Houston, my first thought was I definitely want to play music by American composers, and in this case, by a composer like Gabriela who has many connections to Houston, to Texas, and to our time. Of course, I want to play music by Mahler and Brahms, too. But recently, we did a concert performance of Mozart’s Abduction of the Seraglio and we hired performers who were either based in Houston or had connections to Houston or Texas. This is part of the whole package. We have to be a stronger part of the culture and of the thinking of Houston. 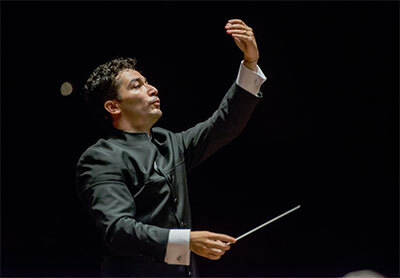 When people come to Houston, they have to want to come be a part of the concerts with the Houston Symphony. You have to feel that this orchestra belongs to you. We are already important to the culture of Houston, but hopefully, in two or three years, everyone in Houston—or everyone who comes here—will feel like we have to come to hear the Houston Symphony, that this is our orchestra, and that all of the music happening is Jones Hall is part of us and of our community. This may seem a very romantic notion, but it is essential. Otherwise, you are just some extra luxury. The Houston Symphony is a luxury that belongs to all of us. Well, and as much as we want it to belong to us and our community, we also want to show it off to the rest of the world. It seems that you are doing that as well in that the orchestra has a tour coming up in 2016, and you are recording quite a lot now. This is absolutely right. We are working on our profile, not only here in Houston where we belong, but elsewhere. If I may make a metaphor with my own life: I work in many different places, but I need to have a strong home. My family has to be strong when I’m at home. This is where I get all of my security and energy. It’s like this with the orchestra as well. We in the Houston Symphony have to feel very strong at home and take all of this strength and self-confidence out in to the world. And we need the right vehicle for doing this. Part of that is recording; I think the last time the Houston Symphony was recording regularly was a long time ago, so now is the important time to let people know what we are doing. Touring is the same thing. We will be touring in South America and probably closer to Houston, in Mexico. Again, it’s about going and building our relationship with the rest of the world. Audiences appear to be shifting. I met a Venezuelan couple at the last performance I attended. They were first time symphony goers who had seen Pitbull the night before at the Rodeo. I also noticed many more young people at the concert, so whatever you doing, it’s working. Believe me, I am proud, but more importantly, this kind of feedback is what gives me the energy to keep working hard and dreaming. 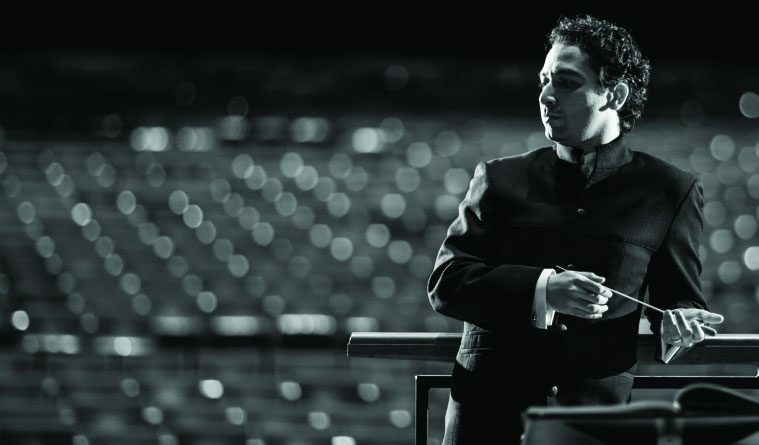 Chris Johnson is the music director and host at KMFA Classical 89.5 in Austin.